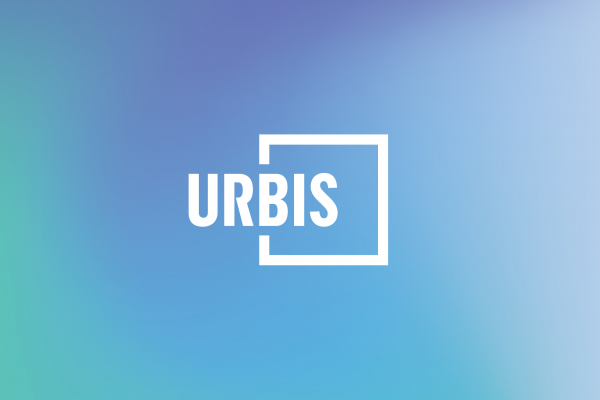 Urbis is Australia’s largest urban planner, helping their clients shape cities and communities in the areas of urban planning, design, policy, heritage, valuations, transactions, economics and research. 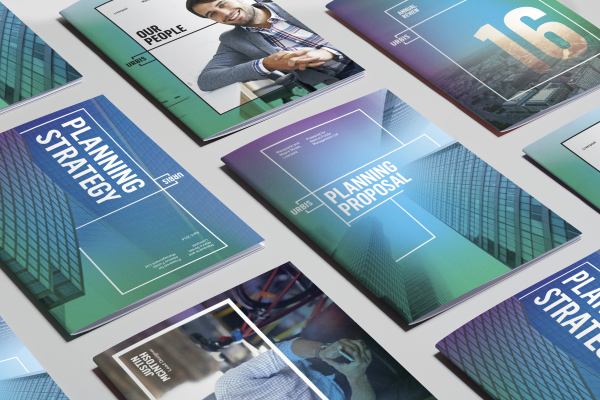 Urbis needed a brand revitalisation to help attract and retain the best possible workforce, yet the extensive board of Urbis directors needed convincing. THERE were commissioned to undertake a full strategic stakeholder engagement process of design audit & brand analysis, staff interviews and research, to better determine their next brand move. After interviewing 11 directors, surveyed 112 staff, facilitating 2 workshops bringing together 5 key states the feedback pointed conclusively to Urbis being in need of a full brand revitalisation process. 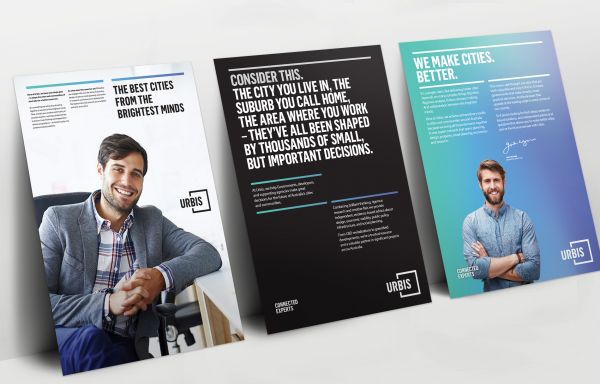 Urbis is an organisation of over 600 staff spread across all Australian major cities with an incredibly diverse service offering. 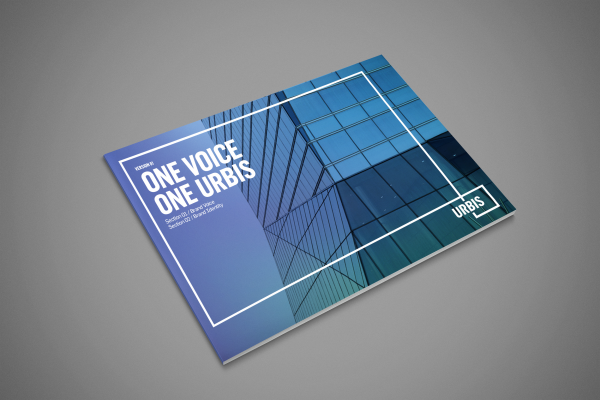 Whilst Urbis is known as a single company, in fact each division acts independently and so the brand approach required a flexible brand. 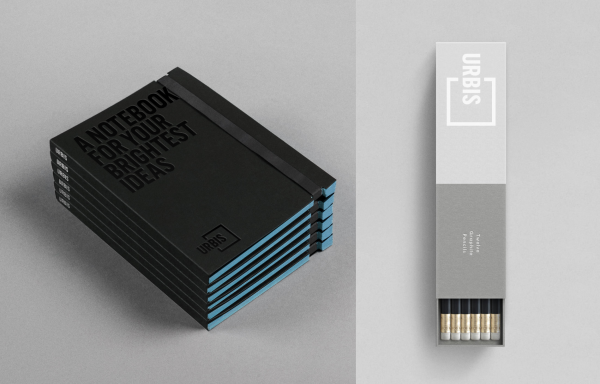 Traditionally a left-brain company, the insights discovered revealed that Urbis needed to present more of a ‘right-brain ‘ attribute of; creativity, fun, passion and personality. 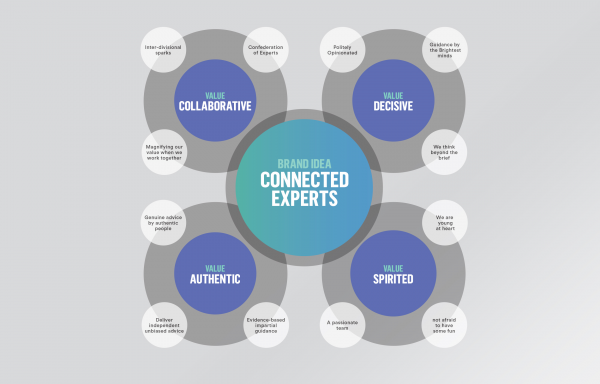 As an organisation they were trying to promote more ‘out-of-the-box’ thinking across all its disciplines – this became the inspiration behind the brand mark. 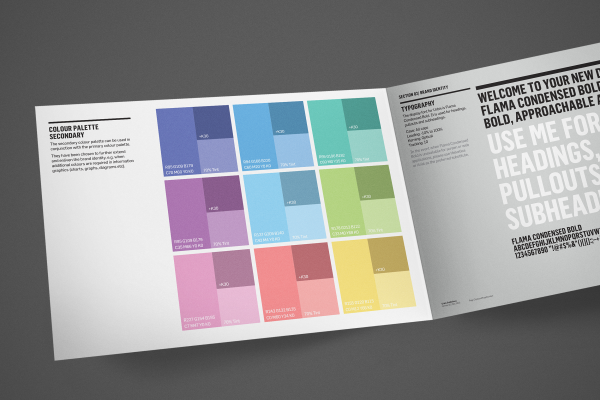 The design challenge was to create a new dynamic brand whilst looking to retain their renown ‘square’ shape. The client sought comfort in considering the brand project as an evolution not revolution. As part of our creative exploration we delved into the many facets and opportunities that a square shape offered. We dissected, multiplied, inverted, expanded, outlined and extruded the shape to create visually dynamic forms. It was the ‘thinking outside the square’ idea that became the inspiration behind the brand mark. We literally moved Urbis outside the square to act as a visual reminder of its commitment to be ‘innovative leaders’ within its industry verticals. An expandable linear graphic frame device became the principle grid device to house text, content and images. We evolved their brand to include a transitional colour vignette evoking a sense of dynamism and movement. 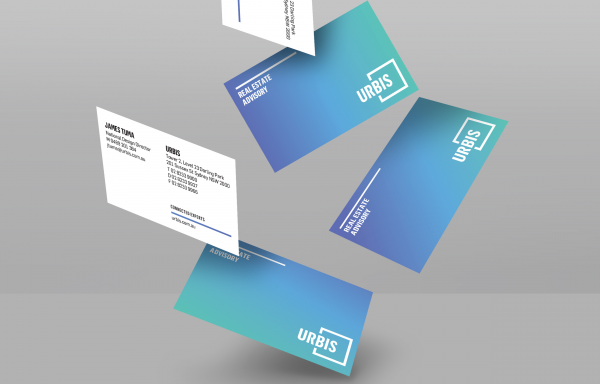 The outcome was a well articulated brand strategy that defined who Urbis were, what they stood for, defined their positioning statement, and brand idea of being Connected Experts– a statement that could be unpacked to cover the many facets of their offer. 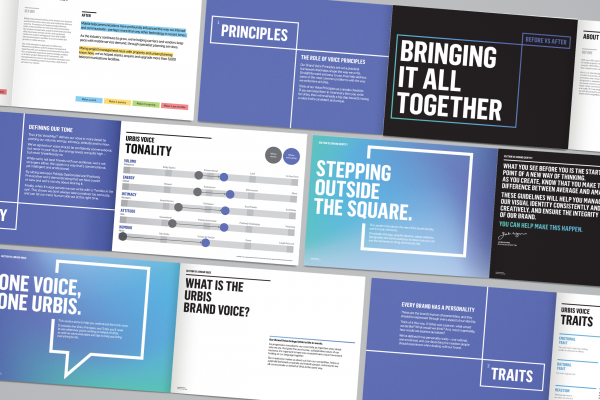 The project also included creation of their brand voice, as well as a brand articulation in a tone of voice guidelines package.